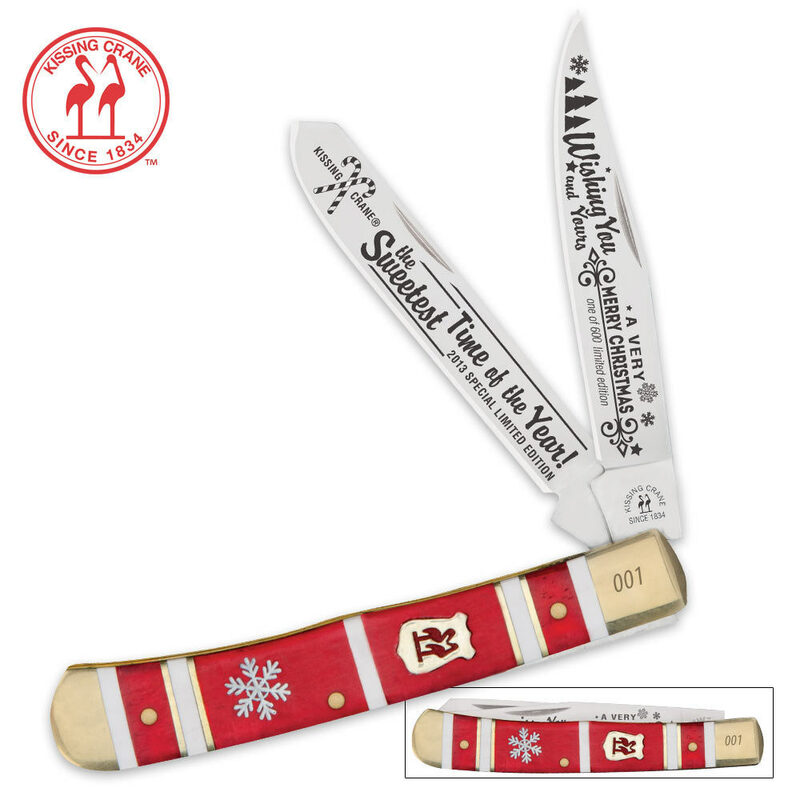 Kissing Crane 2013 LE Christmas Trapper | BUDK.com - Knives & Swords At The Lowest Prices! Kissing Crane is proud to release its annual Christmas trapper. Each knife features mirror-polished, razor-sharp 440 stainless steel blades with exclusive etchings to commemorate the 2013 Christmas holiday. Very nice knife. We'll worth the money. This knife looks great, feels great, and is overall a very nice collectible. The number and sayings are cool little additions. I got #51. I ordered 3 of these as Christmas gifts. These are beautiful knives and a lot cheaper than their Case counter parts.